Hunger and malnutrition are common in Anlong Kngan. Years ago families were forcibly resettled here and the government offered no resources to help. So people spiraled down deeper into poverty, suffering from a lack of food, inadequate medical care, poor sanitation, and dilapidated housing. Volunteers prepare and deliver meals throughout the week and Father Robert Wynne, M.M. is often times their companion, checking up on people and offering a blessing. Living alone with a disability would be devastating for any of us — Your GIFT will make sure the elderly in need in Anlong Kngan are cared for with dignity and respect. 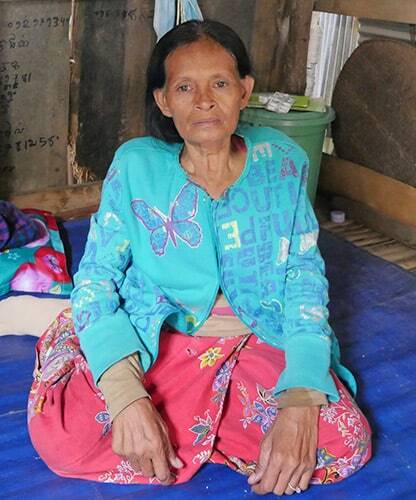 Kong Hak is a 64-year-old woman with a deformed back. She is unmarried and lives alone because her parents and siblings were murdered by the Communist Khmer Rouge in 1975. Her shaky bamboo hut is 6 ft. x 6 ft. with a slatted floor that sits over an open sewer drain. A sheet of corrugated iron, which Maryknoll gave her as a roof, protects Hak from the rain. “I am helped greatly by Maryknoll,” she says softly. Before Father Bob’s program, Hak ate mostly rice and salt. She had little outside contact and no government help. Now she receives cooked meals twice each week and the neighbors look after her in between visits from Father Bob and his team. Yei Leng is 85 years old, a widow who lives in a windowless hut with a bed, tiny kitchen, toilet and memorabilia on the wall. 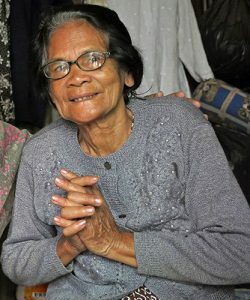 She was married to a high-ranking officer in the Khmer Rouge and once lived a life of privilege. But no longer. “I am old, very poor and alone in this slum, but I get by with the support of Maryknoll,” she says. Father Bob and his team make sure that Leng receives her hot meals during the week and regular medical visits, too. 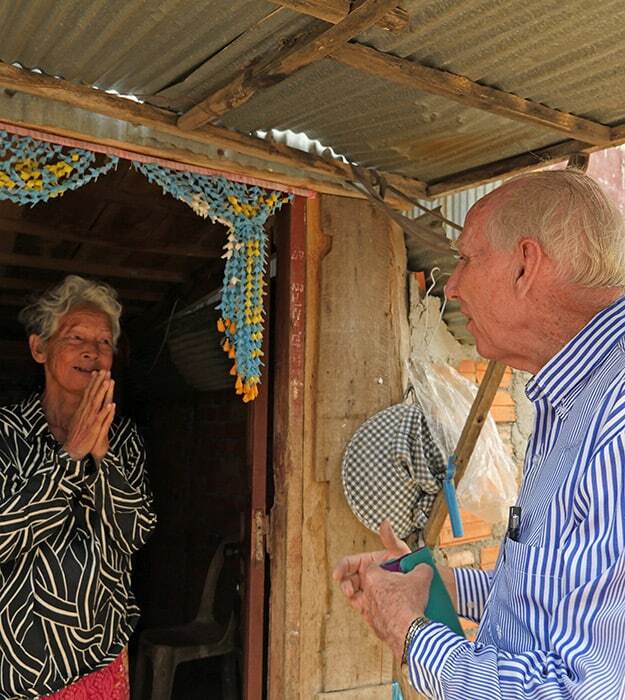 She is a Christian and always delighted when Father Bob taps on her door to visit and pray. Please meet Oun Sophat. At 76 Sophat is profoundly deaf and unable to engage in conversation although he can talk. His wife died almost two years ago so now he lives alone in a small hut. He uses a wheelchair that Maryknoll provided and gets around the neighborhood when the weather is good. Thanks to Maryknoll, Sophat receives hot meals as well as transportation to his medical appointments. 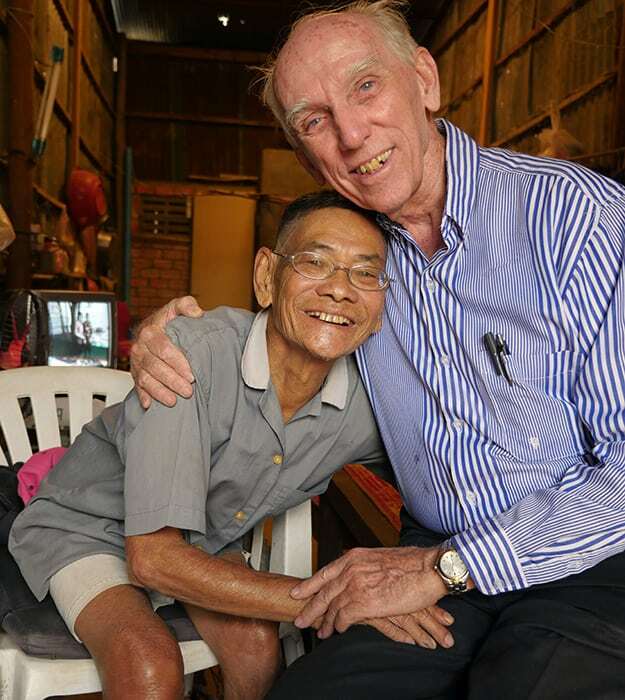 Like Yei Leng, Sophat is a devout Christian and beams a broad smile at Father Bob whenever he visits and shares a blessing. As long as Fr. 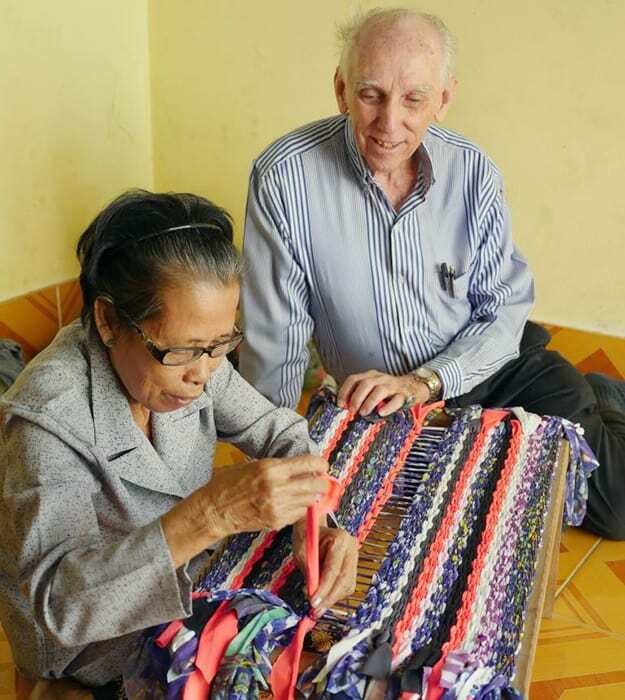 Bob is in Anlong Kngan, you can be sure he will care for the elderly and everyone else. Your gift to Maryknoll will further his mission as the sign of hope for everyone. of gentle hands and caring smile.